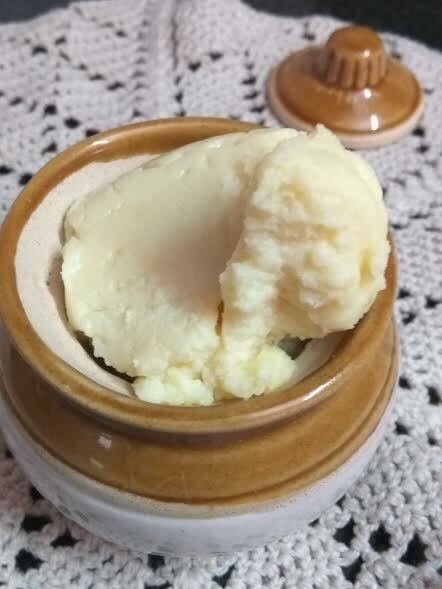 Looking for instant khoya? Or do you want a quick condensed milk recipe? Well, if you learn the basics of one pot one shot recipes, you can create just about any marvel. Take my word for it. No, I am not exaggerating. I love how OPOS has brought about a unique revolution in my kitchen and helped me hone my culinary skills. The taste, color, and flavor that my recipes shine with these days were nowhere seen before OPOS. So I have ventured into trying OPOS khoya and OPOS condensed milk now. Of course, you have already seen my autolyzed cookies. I am trying to rewrite my previous recipes with OPOS now. Let's see how to make instant OPOS khoya. OPOS Khoya recipe is a keeper. Why? Well, it gives you instant khoya, without the need for constant stirring. Without any hassle or fuss, you can get ready-to-eat khoya at home. The khoya OPOS recipe is simpler than anybody could expect. 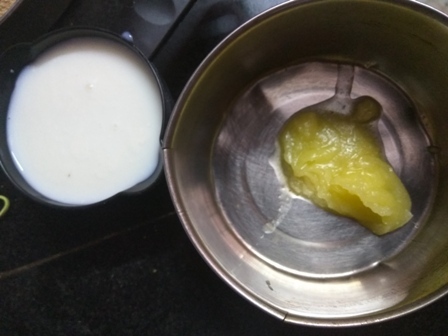 How to make khoya at home? Wondering how to make instant condensed milk at home? Well, it is a simple, yet time-taking process. Of course, the end result is worth all your efforts. Khoya is a must-include ingredient in most Indian sweets. 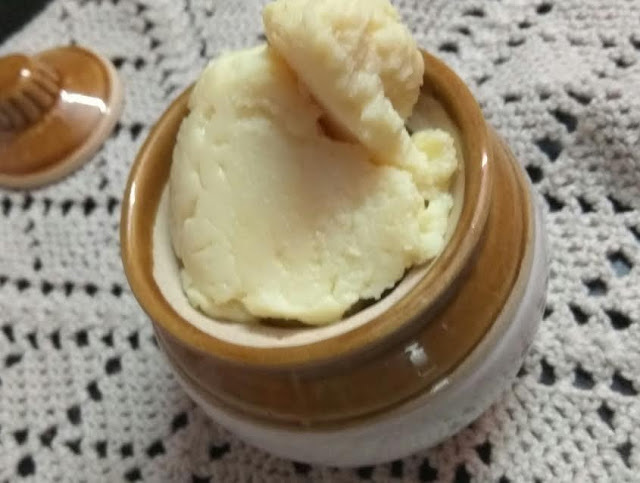 In fact, there are hardly any sweets that do not use khoya. 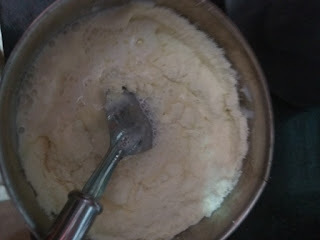 I learned how to make khoya from my nani(matenal grand mom). 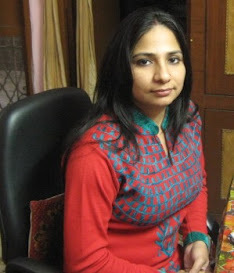 I have seen her prepare a number of Indian sweets, especially khoya burfi. The word khoya itself makes me feel nostalgic, reminding me of my nani's khoya burfi. But this khoya method is tedious and time taking. It involves a good amount of your time and patience. If you are patient enough to stand and stir the milk for at least 30 mts at a stretch, go ahead with the traditional method of making khoya. 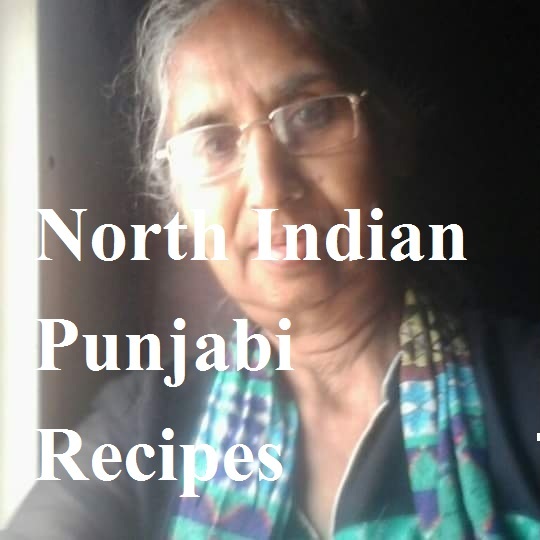 But if you want an instant mawa or khoya recipe, then again this page can help. 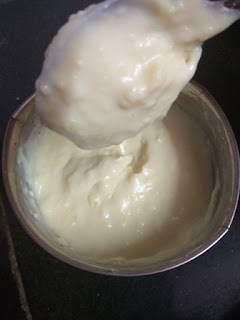 I have learned another method to make instant khoya/mawa at home from Radha Natarjan's post on khoya. The moment I saw her post, I was interested to try it out. It's a very simple recipe, which cuts down the time taken in making khoya the traditional way. 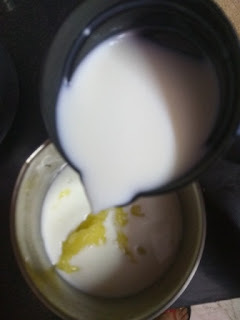 Not only, this the OPOS khoya recipe gives you options for OPOS condensed milk too. So this Diwali, enjoy homemade sweets like never before. Add 1/4 cup water to it. Take a bowl. Add milk and ghee to it. Place the bowl inside the cooker - just like pot in pot. 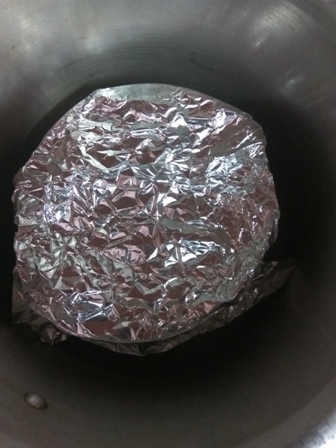 Cover the inner bowl with aluminum foil or plate.Pressure cook for 4 whistles. They will be quick. 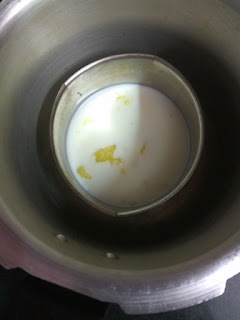 Add milk powder to the ghee-milk mix. Mix everything well and enjoy instant OPOS khoya. You may either allow it to sit on the countertop for 30 minutes and then stir it once or use it instantly. If you want a thicker khoya, let it sit for more than an hour on the countertop. It will thicken in the refrigerator as well. This slighly gooey and flowy khoya doubles up as instant condensed milk as well. 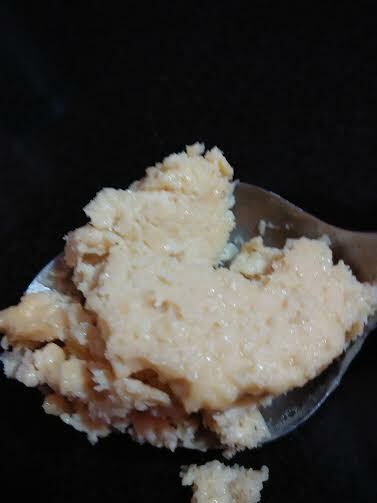 I have made oats khoya burfi with jaggery. It tastes yummy. Shall post the recipe. Are you trying this instant khoya version? Well, you might want to go ahead with instant OPOS condensed milk for cakes and biscottis. I am going to use the OPOS instant condensed milk for my biscotti recipe. 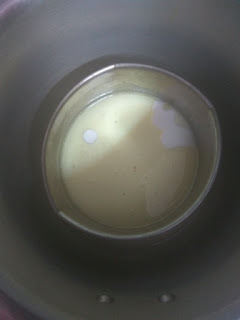 Heat milk in a pan and add ghee. 2. When the milk starts to boil or is extremely hot, turn off the flame. 3. Add to milk powder slowly and mix with a spatula. 4. Make dough. If the mix looks crumbly, keep mixing it. 5. 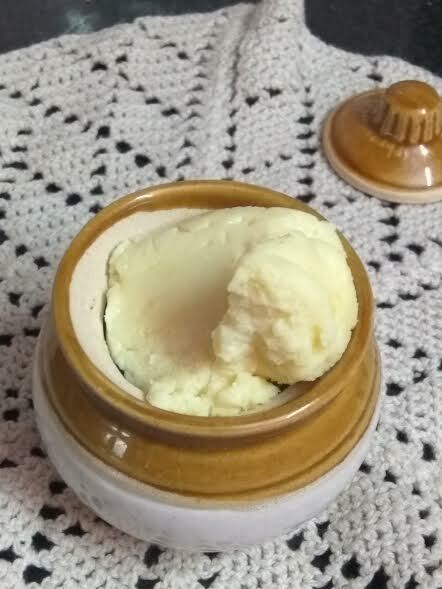 Allow it to cool down and then cover and keep in refrigerator. 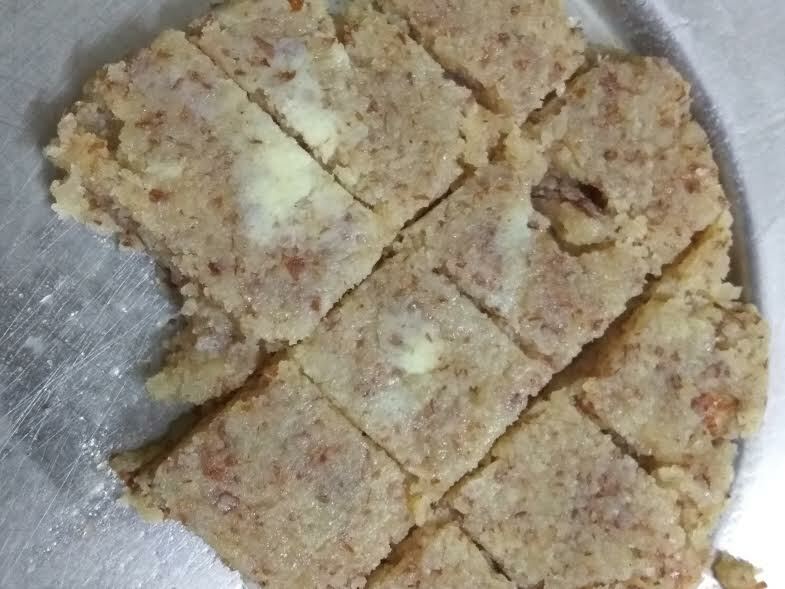 I have made badaam burfi with this method. It is simply outstanding. You would want to try it again and again and can have it during fasts. 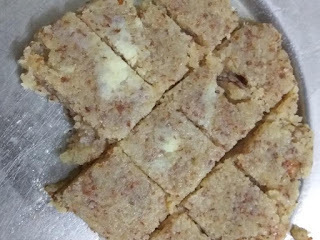 It's quick to make badam burfi with this homemade khoya. Take half the amount of khoya from this recipe, add 1 cup of almond powder to it. If you have almond meal, add that. It tastes even better with almond meal. Here's the quick way to make almond meal at home. 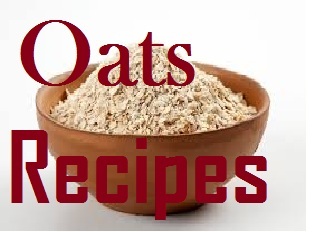 Click on the video above for almond meal recipe. Keep aside. Heat a pan with 1/4 cup milk, add elaichi (cardamom powder). Next add the khoya almond mixture. Cut and enjoy this fasting recipe. Boil milk and then add the other two ingredients. 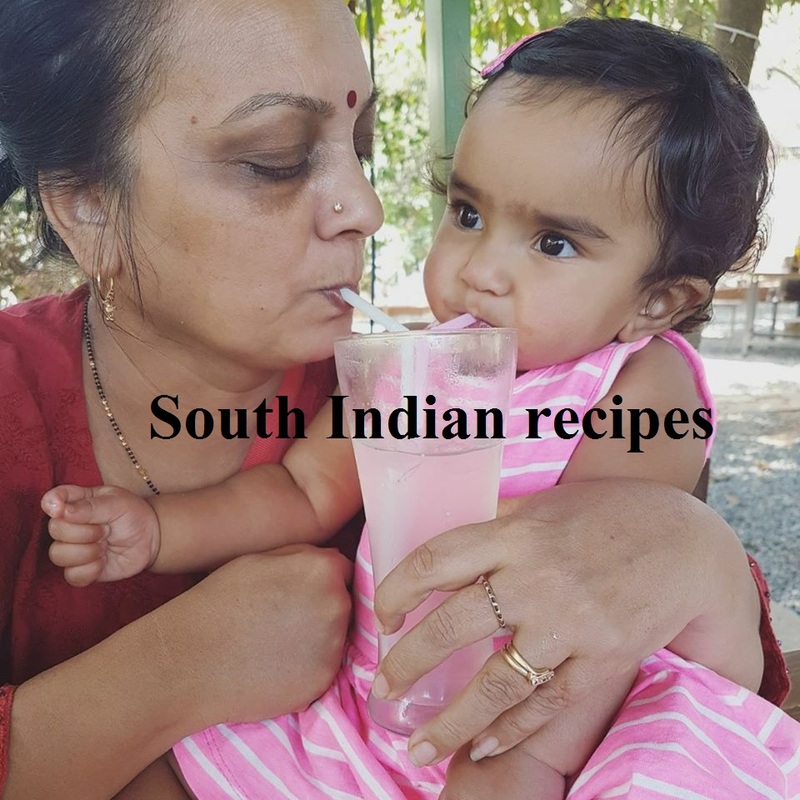 Do not leave it much, as there is a high risk of burning, especially as milk gets thickened. Keep stirring and stirring and stirring until milk dries up, leaving a mass behind. Stir well and your home made khoya is ready. You can make khoya burfi with it or add khoya to coconut and make coconut burfi/ladoo. I make almond fudge/ burfi as well with this. If you live abroad in USA or U.K. You get whipped cream cheese. You add two cups of milk powder to it and two tsps. of melted butter..mix in a bowl and place in the frig..the same can be used for making several Indian cuisine sweets of kheer,barfi s that require this or gulag jamun,pedals and Bengali sweets of chum chum, rasgullas and rasmalai.If you wish recipes for this go to any Indian food channel posts or Google it or use the food free apps for your phones and iPad. Good luck. I hear you. Thanks for the brief. This is a fuss-free way to make instant khoya at home. Do try it out, Poonam!